2x2in. 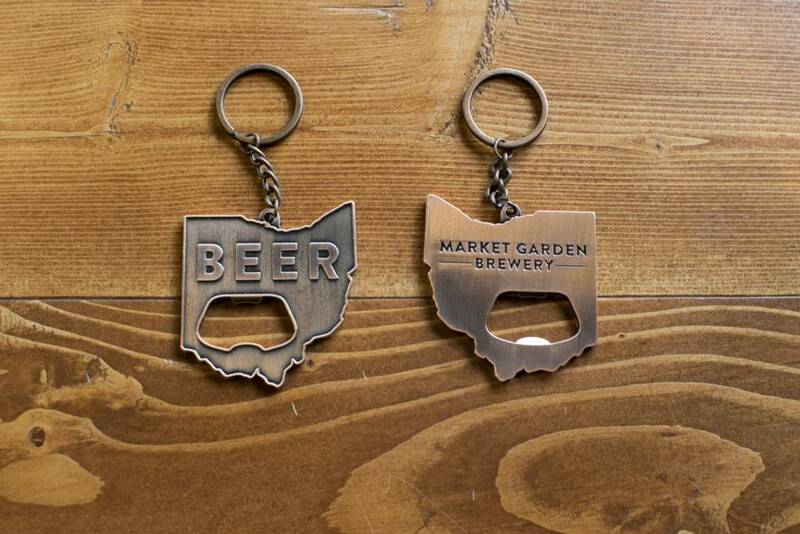 copper, MGB Beerhio shaped keychain with MGB type logo on back. Doubles as a bottle opener.